If your client’s most recent real estate transaction didn’t go as planned and they are having significant problems that you alone cannot solve, you should consider mediating the dispute. Litigating these conflicts could cost both sides considerable expense, time and money with the outcome beyond the control of either party. Mr. Mehta is an experienced mediator and will creatively as well as persistently find a way to work out a fair solution that both parties can live with. No matter the type of real estate, serious issues can arise and create a dispute to be resolved. A buyer may have spent a lot of time and energy to find the right home to raise a family in an area they both like and can afford. An unexpected or major expense could turn a dream home into a bad dream. The owner of a home may have spent a large amount of time and expense selling their property, enabling him or her to start a new chapter and live elsewhere. If a potential buyer backs out of a sales agreement or claims undisclosed defects need to be addressed, the new chapter that the seller was hoping for may have to take a back seat. A business owner may invest limited resources to find the right property in the right location at the right price. If the property ends up not as it was advertised, the costs and disruption to the business could be substantial. A party selling or leasing commercial or industrial property has a lot at stake. If costs are incurred to line up the right prospective buyer or lessor, and the party improperly backs out, financial damages can occur. Mediation is a way to resolve disputes that may otherwise end up in the legal system. Mediation is a non-adversarial, confidential process that brings the parties together with a neutral, unbiased mediator who helps the parties reach a mutually agreeable settlement. The parties save time, energy and expense compared to battling it out in court while maintaining control of the outcome. Mediation can be initiated at any time by agreement between the parties. An attempt to mediate the dispute may be required by the terms of a real estate purchase agreement or lease before the parties can proceed with litigation. 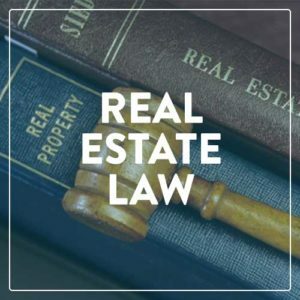 If your client is having serious problems with a real estate transaction and there’s a desire to resolve it sooner than later, contact our office so we can talk about how we can help the parties put this dispute behind them in a way that controls the outcome as well as the costs.